Because it has a past relationship with Tiger Woods, GM wouldn't look like it was just jumping on the Tiger-mania bandwagon to score sales. DETROIT -- General Motors could really use a win after months of negative publicity. Everyone loves a good comeback story, and now GM and Woods both have one. Woods' stunning, emotional victory in the Masters this weekend could give GM a chance to share its own story better. It could help GM cut through the relentless criticism that's been raining down since November, when the company revealed plans to end production at five factories in the U.S. and Canada. And America could desperately use a break from the endless, obnoxious "That's not a Buick" ads that permeate virtually every televised sporting event today. GM can't seem to get out of its own way lately. It botched the initial announcement that plants in Michigan, Ohio and Ontario were being "unallocated" and never had a satisfactory response to the attacks from President Donald Trump and other politicians who point to the huge profits that continue to roll in. Even some of its longtime allies in Congress -- such as former GM-executive-turned-congresswoman Debbie Dingell -- expressed anger about how GM handled the news that thousands of workers were either losing their jobs or being forced to move. Woods certainly knows all about self-inflicted damage, given all that happened in his career and personal life since his last major tournament win in 2008, five months before he and GM parted ways. The split was precipitated by GM's need to cut spending in the months before filing for bankruptcy protection and happened almost a year before Woods infamously crashed his Cadillac Escalade into a fire hydrant, so neither side likely has any hard feelings over it. And because they have a past relationship, GM wouldn't look like it was just jumping on the Tiger-mania bandwagon to score sales. It's too soon to know how much Woods is really back. Maybe he won't win another major tournament again. But it doesn't really matter. 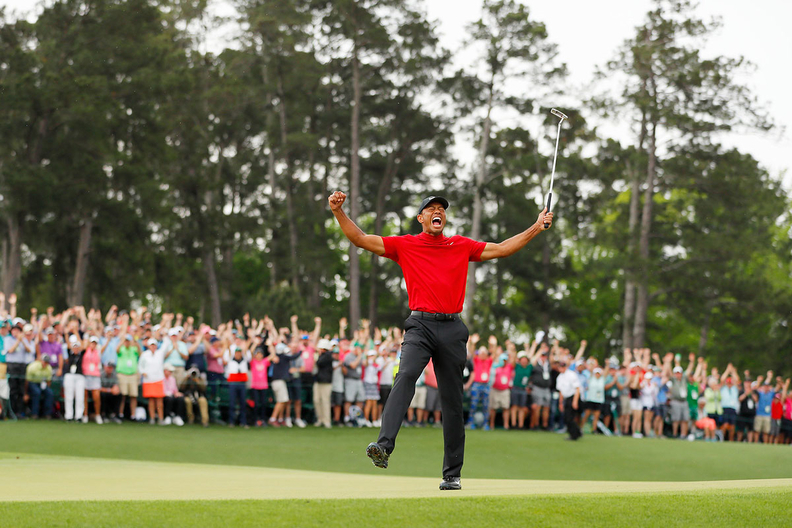 The attention he commanded at the Masters shows that he still can create the gravitational pull that made him a good fit for GM and Buick originally. Woods, like GM, was a dominant force that got humbled. Bringing him back into the fold now that Americans have re-embraced him would be one of the smartest decisions GM's marketers have made in a long time.